If you have any areas that you want to improve, affirmations can be a great way to achieve that. 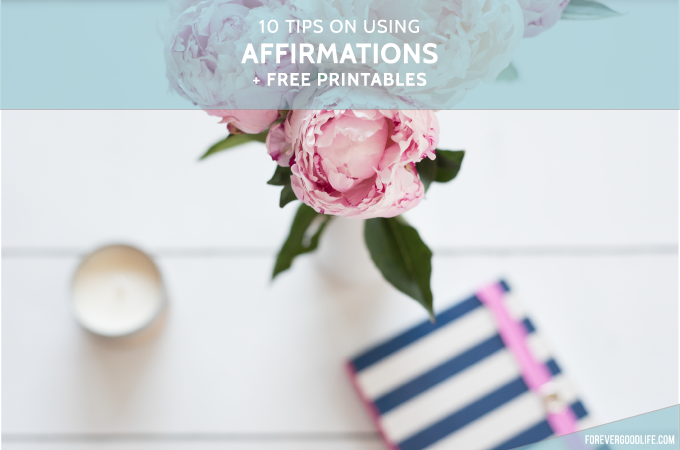 Today I’m sharing ten tips on how you can use affirmations to get the most out of them. You can have as many affirmations as you’d like, but I would suggest no more than five to be able to remember them. 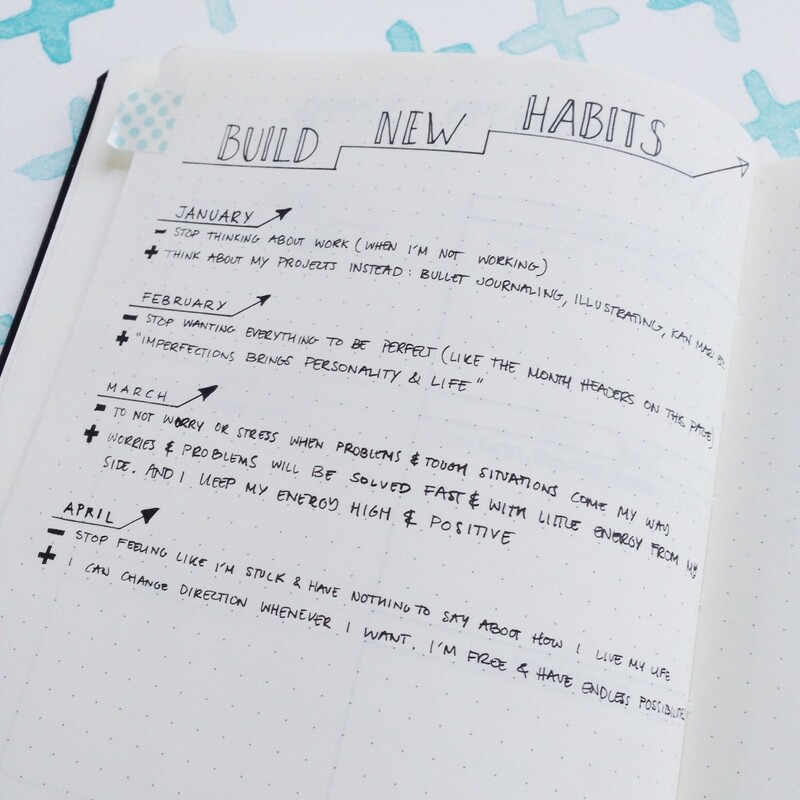 First, think of areas of your life you want to improve and write them down. For each area get clear on what exactly it is you want to change and phrase it in a positive way. Write that next to each of your areas. You might want to write down some different variations of your affirmations before you find one that really fits what you’re going for. So just keep on writing until you find the right one. As an example you might want to focus on your health. More specifically you want to eat healthy, so no more sugar, trans fats or processed foods . You want to eat clean. 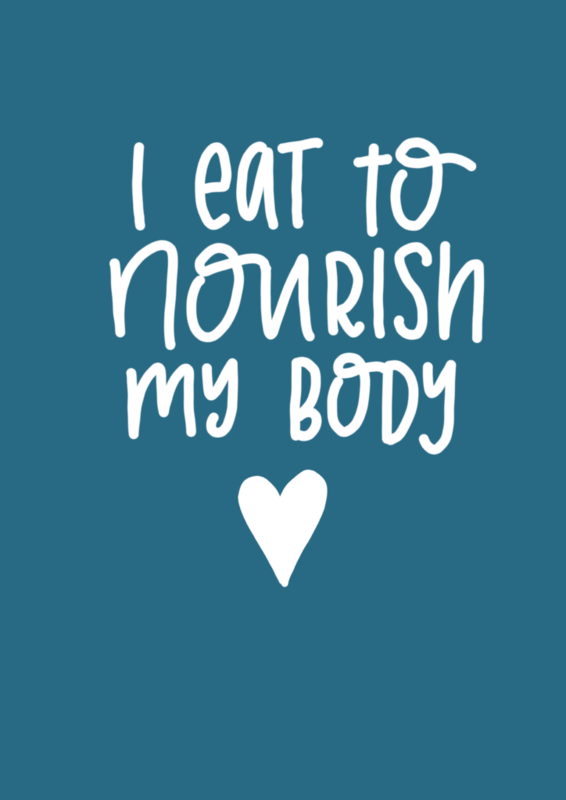 Your affirmation can be ”I eat healthy, I eat to nourish my body”. Another example is if you want to move forward on your passion project this year, maybe it’s a side hustle or a hobby. Last year you didn’t put in as much time as you’d like to have done and you procrastinated a lot. 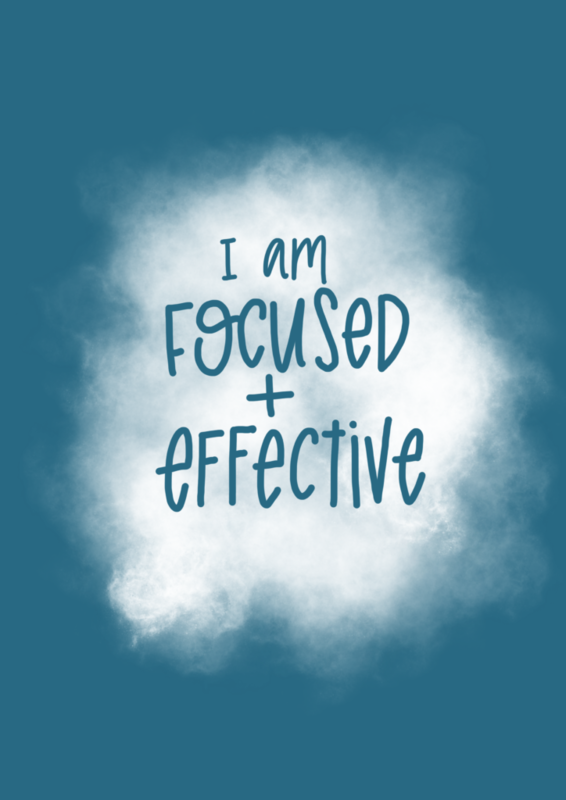 Your affirmation can be ”I’m focused and effective”. Or maybe instead of procrastinating you actually get a lot done each and every day, but you never ever get everything done and it stresses you out. You work hard to finish of that to-do list, but no matter how hard you work you can’t seem to finish it. An affirmation to battle that can be ”It’s ok to not get everything done today” or ”I have all the time I need”. Last year I chose one main affirmation for each month. Some months I added other affirmations as well. For someone like me who like to change things up it felt great knowing I could change things up next month if I came up with another area of my life I wanted to focus on. Of course you can change it up more frequently than that. I wanted to give myself a month of working on that specific affirmation to really get it to settle. To get it to sink in and be part of the way I viewed myself and the world. You want to marinate in your affirmations. You want to change the way your brain sees the world. You want to make the affirmation into a truth. You do that by putting your affirmations on repeat. Both in the sense of repeating them several times a day. And also in the sense of repeating them over and over again during a specific time frame. As you repeat your affirmations you’ll notice that other thoughts will slip in and you’ll forget your affirmations. That’s ok! It’s just as with meditating. It’s not the act of ”thinking of nothing” that’s important. It’s to realize that your thoughts have wandered and to gently get back to your focus, in this case to your affirmations. When you start out you’ll know that the affirmation isn’t the truth. That’s one of the reasons you’re doing this – you want to change it into a truth. From personal experience I can say that it most often takes a long time for these affirmations to settle. Some of them can take a few months. Some of them sink in within the month. For some of my affirmations I noticed after a few months that I’d slipped back into my old way of thinking. I simply added that same, old, affirmation to my list and re-affirmed it. You’ll probably have to do the same. And it’s ok! It’s an evolving process and not something that’ll happen over night. The next following six tips will be on when you can focus on your affirmations as you’re doing something else. It’s great to have another action, something you’re doing anyways, and anchor that with your affirmations. I would also suggest that you also set alarms on your phone to remind you to focus on your affirmations. If there are specific times where a reminder could be useful that’s great. If you have an affirmation on eating healthy, well then maybe a reminder around 2pm when you normally reach for a sugary snack would be great. But if you don’t have a specific time where a reminder would be great, it can still be super useful to have those reminders. Especially in the beginning, before thinking of your affirmations is a habit. The next tips are on times or places where you can work on your affirmations, i.e. where you can repeat them. Personally I’m using all of these times and places to focus on my affirmations. The more I repeat them, the better and faster it’ll stick. Not that we ever know how long time it’ll take for an affirmation to feel like a truth. But I figure that the more we can focus on them, the better it is. This is a perfect way to work on setting your affirmations. You combine fresh air, movement and your positive affirmations. If you can add some nature to the mix that’s awesome but not necessary. Yes, as strange as it sounds this is a perfect time to do your affirmations! The showering and washing your hair is something you can do in your sleep, so use that time for your affirmations. Also something you probably can do in your sleep. It’s quite mundane and normally we just let our thoughts fly to wherever they want to go. If you instead use that time to something productive, like your affirmations, it’s double the use of that time. This is a perfect time to focus on your affirmations. If you have a long commute maybe you’ll decide to take ten minutes at the beginning of the commute for your affirmations, then you’ll do whatever you normally do on your commute. If you’re going all in you might do it the whole commute. Only you know what’s right for you. If you have a morning routine with meditation, reading, yoga, visualizing and so on it’s a perfect add-on to that. Add five minutes to the end of it to focus on your affirmations. If five minutes feels like too much – add one minute. If that feels too much – just think of the affirmations once. If you don’t have any specific morning routine you can still add it to something you do each morning. If you make a cup of coffee every morning – do it as you set the coffee machine. Do it as you get dressed. Do it as you prepare breakfast. Do it as you brush your teeth. You probably have something that you do each morning where you can add attention to your affirmations. What a way to end the day to focus on your affirmations. Just as with the morning you probably have things you do every night where you could focus on your affirmations. And if you can incorporate it into before you actually go to sleep, it’ll be the last thing your brain focuses on before it does its nightly work as you’re sleeping. What a way to end the day! I created free printables with two of the affirmations mentioned before, you see them here in this blog post. Sign up for the biweekly tribe letter to get access + get access to all previous freebies as well. Leave a comment below on what your affirmation is and I’ll chose one to create a poster on! I eat well and move my body daily.